Every day we meet our full day children at Rocks Lane Tennis Pavilion in Bishops Park for breakfast. We then take a short walk to Fulham Palace Gardens where we meet our sessional children. We enter the palace garden gates to a world of magical nature exploration opportunity. Activities can range from treasure hunts, bark rubbing, mini beast exploration, dressing up and creative role play to reading stories, mark making and mathematics in the forest. We are always on the move, balancing, running, coordinating and are always learning more about our world. We enjoy our morning snack, lunch and afternoon snack out in the forest, then towards late afternoon we make our short walk back to Rocks Lane Tennis Pavilion. Here we take time to reflect upon our day and discuss with the children what they enjoyed the most, using these discussions to help us plan our activities for the next day. We enjoy a nutritious dinner every day and once a week we even have cookery classes. We take children once they have turned two and although we do have a cosy rest area available for those children who need time during the day to relax or catch a quick cat nap, we can’t accommodate those children who are napping for over an hour each day. We recommend that children join us in the forest at Fulham when they have either reduced their nap time or dropped their daytime nap altogether. 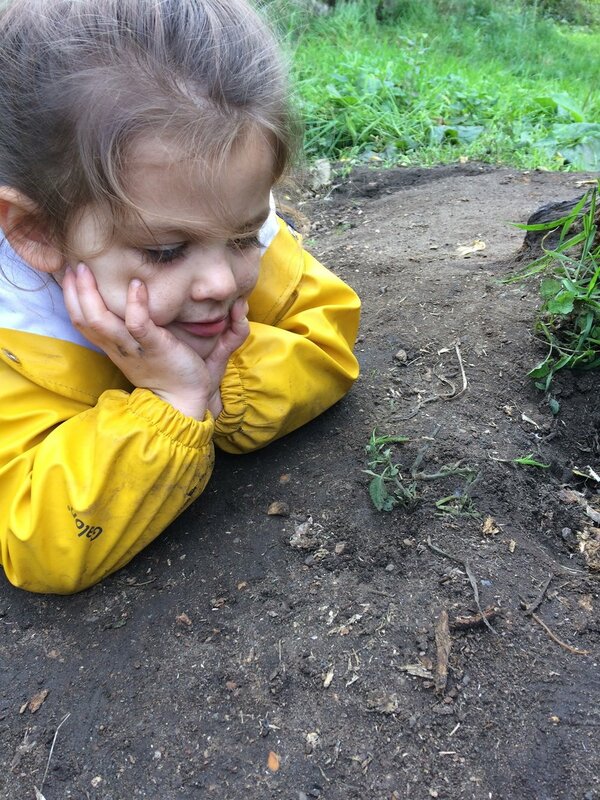 There are two options for attending Little Forest Folk Fulham, a Full Day or a Sessional Day. Full Days run 7.45am to 6pm, include breakfast, lunch and dinner, whereas Sessional Days are shorter days running 9.30am to 3.30pm, that include breakfast and lunch. Both include a morning and afternoon snack. We ask for a minimum commitment of at least two days per week per child. OUR WAITING LISTS ARE CURRENTLY CLOSED DUE TO HIGH DEMAND. Please join our mailing list below if you would like to hear future updates and Little Forest Folk news. For busy parents who need to drop their children off before work and collect them at the end of the working day, we are based from 7.45am-9am and 4pm-6pm in Rocks Lane Tennis Pavilion. Fulham Palace Gardens is just a few minutes walk from the Pavilion, next to the River Thames and not far from Putney Bridge tube station. Here, Little Forest Folk are free to roam the entirety of the fenced Fulham Palace Gardens from 9:30am to 3.30pm. Children have free reign to explore, play and have unbounded adventures in a natural wild setting. For drop offs at both Rocks Lane Tennis Pavilion and Fulham Palace Gardens there is metered parking on Bishop's Avenue, SW6 and it's usually quite easy to find a space here! Interested in taking a look around? Sign up to our newsletter and we can let you know when the next site visits are available for all of our Little Forest Folk nurseries. Kind and caring staff and an amazing outdoor setting which our son loves. His love of being outdoors and his confidence has really developed. Depending on your circumstance there are three different ways to fund your child's place at Little Forest Folk. You can also read the summaries below and click on the relevant link. As a social-purpose business, Little Forest Folk offer free places for full-time childcare to qualifying two-year-old children. If you are eligible for two-year-old government funding you will be eligible for our Little Forest Folk programme of free places. Your child is able to access 15 hours universal entitlement, 570 hours of free entitlement hours funded by the government from the term after their third birthday. This funding can be applied across the school terms (38 weeks per year) or stretched to cover a longer period of the year (51 weeks per year). We offer 30 hours of funded childcare to eligible families. Working parents of 3 and 4 year olds are able to obtain an additional 15 hours of funded childcare provided that they meet certain eligibility criteria. These hours will be provided from April 2018. There are two options for attending Little Forest Folk Fulham, a Full Day or a Sessional Day. Full Days include breakfast, lunch and dinner, whereas Sessional Days are shorter days that include breakfast and lunch. Both include a morning and afternoon snack. We ask for a minimum commitment of at least two days per week per child. For more information about our pricing and how payments are structured, please follow the link below. We run holiday camps during school holidays at our Fulham nursery. We have a limited number of places per day so if you would like your child to attend, we would advise booking as soon as possible to avoid disappointment. If you'd like to learn more about our holiday camps and to book a place for your child, please follow the link below. If you would like detailed information about how our waiting lists work, please follow the link below. Have more questions? Visit our FAQ page to find out more about Little Forest Folk and our nurseries.